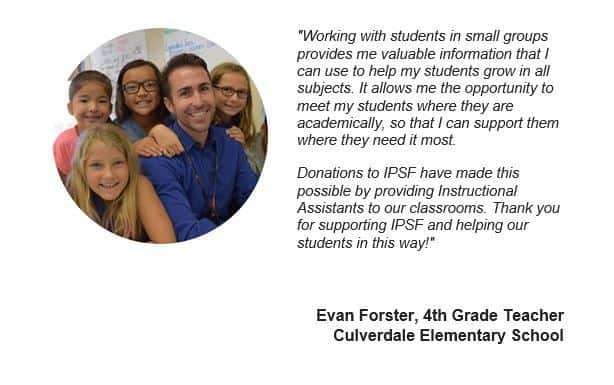 Parents have the power to add teachers and instructional assistants to classrooms by donating to the IPSF Educational Excellence Fund! 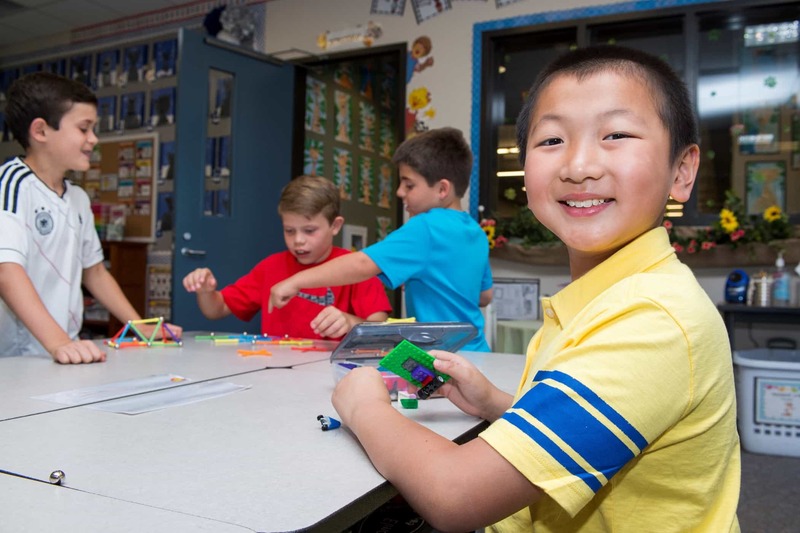 Generous donations to Irvine Public Schools Foundation (IPSF) help provide schools with greater flexibility in managing larger class sizes through the use of small learning groups. Instructional assistants in elementary schools make it possible for teachers to work with students in smaller learning groups, which has proven to be incredibly effective. Teachers and instructional assistants can offer more personalized instruction in small groups by tailoring instruction based on skill level. In middle and high schools, these funds provide staffing hours, adding sections to reduce class sizes in key subject areas and provides students with a smaller learning environment. Help fund crucial staff for our students by donating today to the Educational Excellence Fund. *Davis, Barbara G. Tools for Teaching. San Francisco, CA: Jossey-Bass, 2009. Print.